A file browser or file manager can be defined as the computer program which offers a user interface for managing folders and files. 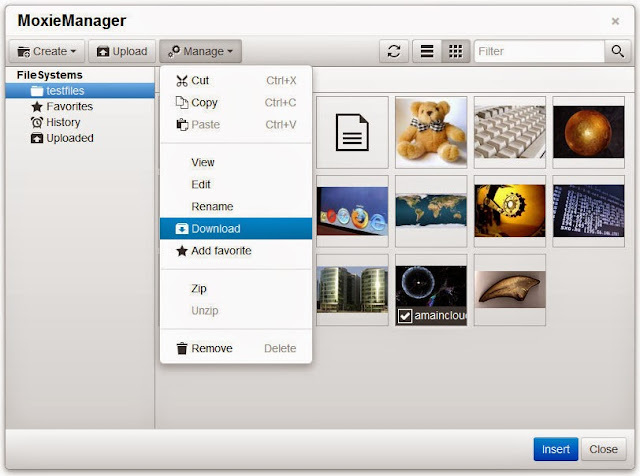 The main functions of any file manager can be defined as creation, opening, viewing, editing, playing or printing. It also includes the moving, copying, searching, deleting and modifications. 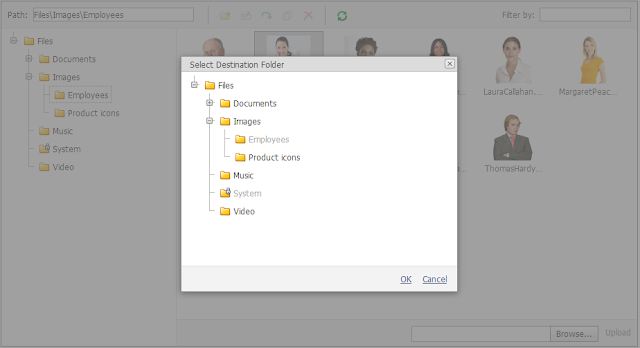 The file managers can display the files and folders in various formats which include the hierarchical tree which is based upon directory structure. 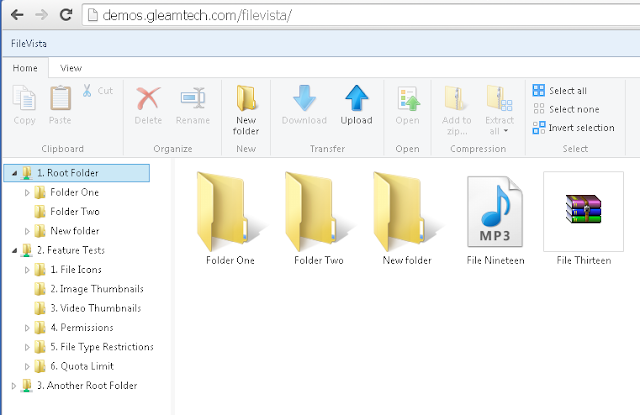 Some file managers also have forward and back navigational buttons which are based upon web browsers. 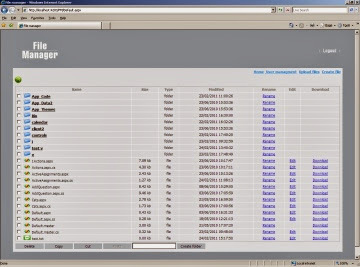 Some files managers also offers network connectivity and are known as web-based file managers. The scripts of these web managers are written in various languages such as Perl, PHP, and AJAX etc. They also allow editing and managing the files and folders located in directories by using internet browsers. They also allow sharing files with other authorized devices as well as persons and serve as digital repository for various required documents, publishing layouts, digital media, and presentations. This software is a comprehensive application which is used for accessing files. The system requirements are Windows OS, ASP.NET (.NET Framework) 4.0 or 4.5 and Internet Information Services (IIS) 6/7/7.5/8. The advantages include a beautiful and convenient interface, multiview modes for file viewing, editing of text files, cloud services integration and document editing, WEBDAV support and zip file support. It also includes a user-friendly mobile interface, multilingual support, and easy admin panel. The additional features of the software include a mobile interface, high general functionality and a web admin. You can upload various types of files using different ways such as Java, Silverlight, HTML5, Flash and HTML4 with drag and drop support. The interface of this web content manager is intuitive, easy to access and fast which requires a website configured for IIS or Internet Information Server. You would also require enabled Net Framework 2.0+ for installation. Some advantages include multi-language facility, preview of the image, and 2 files view modes. 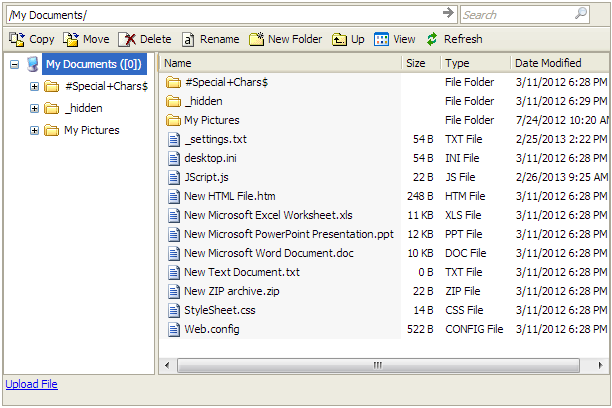 You also get search facility in the list as well drag and drop file function inside the software. The software has been programmed in Java Script API. Some disadvantages include difficulty in customizing the access of folders, inability to share files and finally, non integration of the software with any online service. You cannot edit the files with external editors or software. 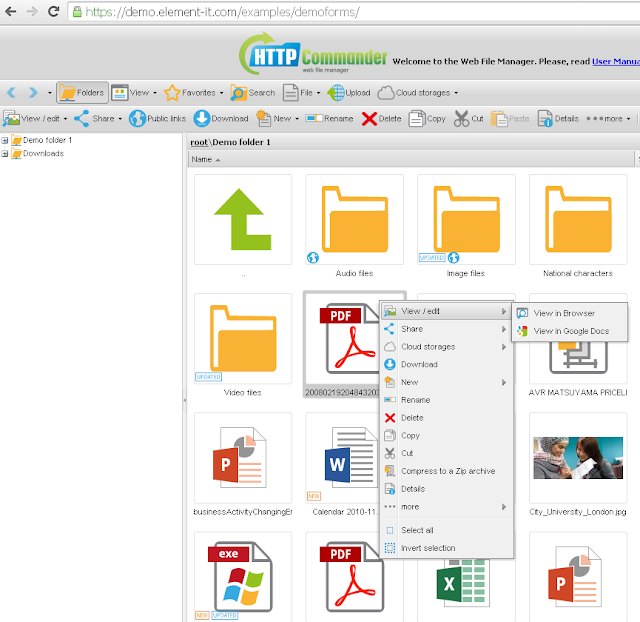 Also, there is no tool for configuration and you cannot drag and drop files during upload. Some helpful features include ease in downloading files using HTML4 and HTML5, also the documentation is available for installation and setup. It provides a simple control and offers access to the files stored in servers. For installation, the user requires Microsoft Visual Studio 2010 and higher as well as Microsoft .NET Framework 4.0. Some advantages include a good interface where all icons are simple and in one style, 2 files view modes including detailed and thumbnails. It also supports basic file operations, supports themes, filters the file list as well as being integrated with cloud file storage services. Some disadvantages include limited and basic operation with files, inability to work as a standalone application, settings are in code, and finally it cannot view files in a browser, weak general functionality, no mobile interface and no web admin. Some useful features include uploading multiple files at one go, multilingual support and availability of documentation. This file management software installs as a standalone application and there is no requirement for configuration. The software does not support AJAX. A drawback is that it looks like an outdated product and the interface is not convenient. The system requirement for this software is Windows OS. The advantages include having no requirement for IIS, uploading of HTML4 files one at a time, providing support notifications with email and can be easily installed and configured from the application. The disadvantages include the interface not being user-friendly, full page reload for any command, it cannot edit files and does not support Unicode characters. Moreover, it does not provide multilingual support for users and has a small quantity of functions when compared with others. This file manager at first glance, is not intuitive and is outdated. The system requirement for this manager is IIS5 or higher version and ASP.NET 2.0 or later version. Some advantages include editing ability of text files, users can do file management through browsers which is very simple, and it can provide support for old browsers. You can do basic operations with files stored and have easy functions. On the other hand, some disadvantages include the redundant interface, its need to reload full page for navigation. Additionally there is no integration with online services. The user cannot share files, cannot drag and drop files during uploading, gets only one folder for file storage and there's no tool for configuration. Moreover, there's no multilingual support, no mobile interface, low general functionality and no web admin. 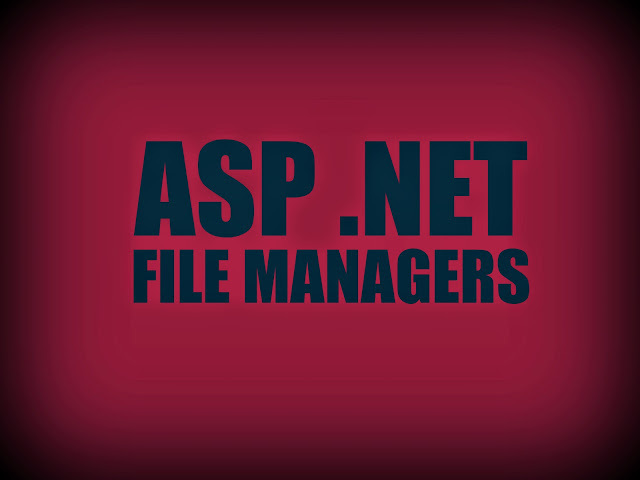 This file manager offers limited functionality regarding files and is a component of Visual Studio. The system requirements include .Net Framework 2.0+ and a configured website in IIS. Some advantages include previewing of images, AJAX support with navigation, integration with Visual Studio and 2 file view modes. The disadvantages include no command for copy, move or rename file, no editing of files even with external editors and inability to share files with anyone. What's more, there's no support for drag and drop file for uploading, an outdated interface, no 'access rights' customization for various users, no web admin, no mobile interface and no multilingual support for users. This file management software offers a good impression at the outset but has limited functionalities. The system requirements include Microsoft .NET Framework 4 (Full Framework) or higher and enabled Windows Server with IIS. Some advantages include setting quotas for users, uploading files with drag n drop, Flash, HTML4, Silverlight and HTML5, multilingual support, presence of web admin, archives support, easy interface, fast loading and creation of public links. The disadvantages include disabled editing ability, no integration with document viewers or online services, no search function and no support of drag and drop for moving files. Even though the software is outdated and has not been updated,it's still functional. The interface of this software is similar to Windows XP. It has minimum functionality and no admin. It provides easy access to files but is suitable only for simple tasks. 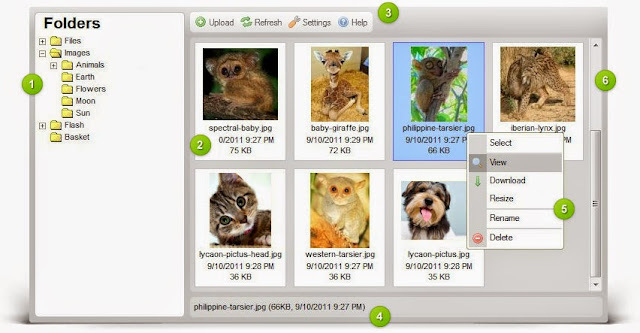 The advantages of this software include 3 file view modes, preview of images, facility to drag and drop files, various theme settings and a search feature. The disadvantages of this software include the old interface, no editing of files, no integration with online services, no sharing of files, and no drag and drop support for uploading files. The user cannot set a permission command as well. This file management software is modern and has a nice design. Also, it is integrated with cloud services which functions with images. The system requirements include IIS7 or higher and ASP.NET 4.5 or later versions. Some advantages include an attractive interface, ability to use all file operations, preview of text and image files. You can also edit text and image files, support Amazon S3 files and folders, support Google Drive and DropBox with download capability, support FTP and zip archives. On the other hand, some disadvantages include having no built-in user interface, no right settings for users, no support of drag and drop, no mobile interface and no web admin. Some features include multilingual format, available documentation, upload files with drag and drop support, average functionality.